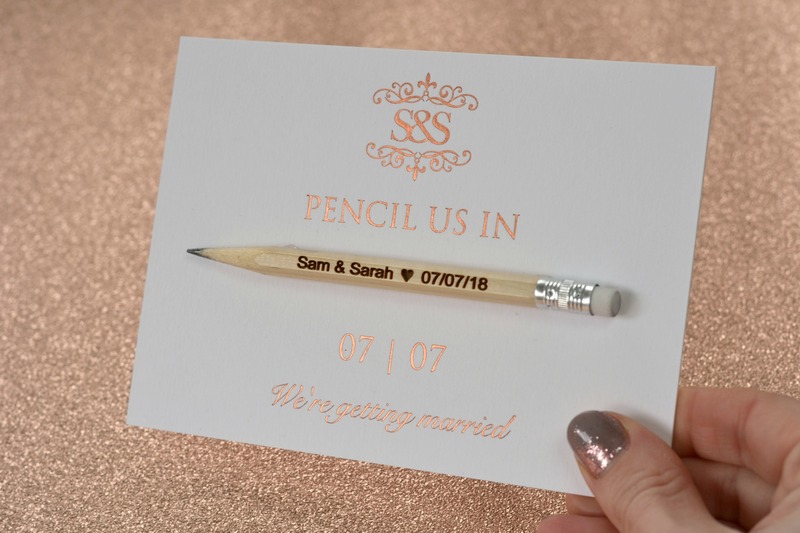 We love creating all our bespoke designs, but sometimes we get a request to create something extra special. 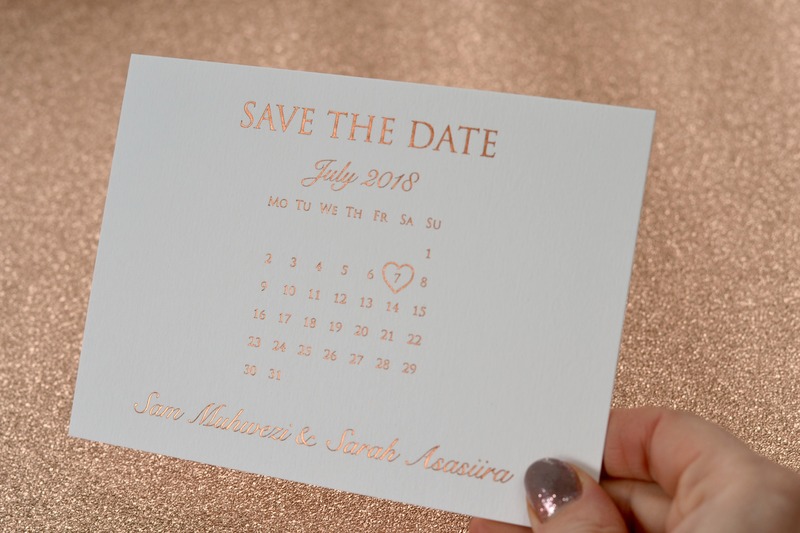 Sam and Sarah’s wedding planner contacted us with a request to produce 500 save the date cards with a copper foil finish. 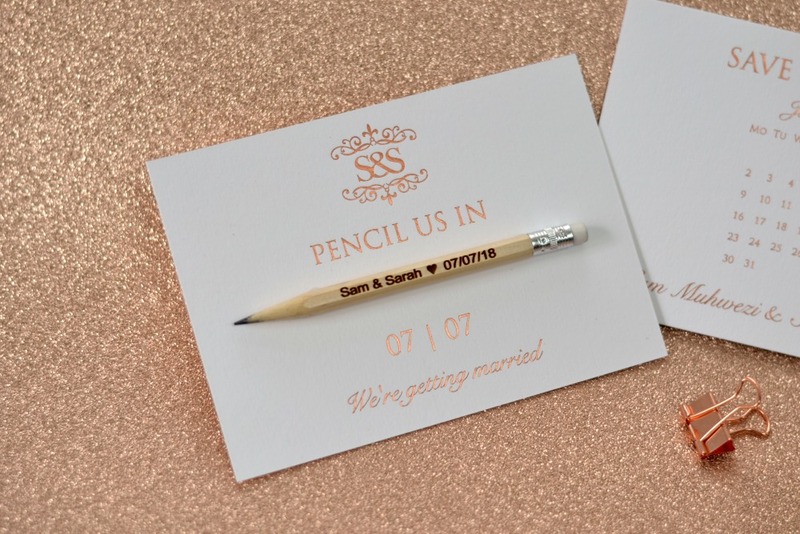 We designed these double sided cards, which featured their wedding monogram and a save the date calendar with love heart detailing on the reverse.